Upgrade to a Luxury Family suite for an extra €50.00 payable direct to the Hotel, Family suite's hold 2 Adults and 2 Children Max, the supplement does not include children’s dinners. 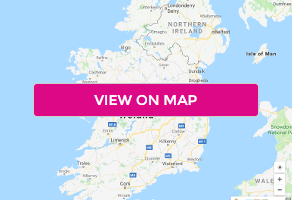 The Shearwater Hotel & Spa is located off M6 at exit 14, it enjoys easy access from Athlone, Galway and Dublin making it one of the most conveniently located hotels in Galway. All standard rooms at Shearwater Hotel & Spa are spacious & feature a queen sized bed with crisp white cotton duvets. Rooms have natural daylight, complimentary WiFi and offer room service. All rooms have a modern contemporary feel with guaranteed comfort and amenities. There are a number of dining options at the Shearwater Hotel & Spa, the Canal Bar offers a tasty, appealing menu with a variety of nutritious freshly prepared dishes, daily specials and selection of dietary and vegetarian dishes, guaranteed to suit all tastes. If you are looking to relax and kick back with great food, excellent service and a fab menu, Marengo's Bistro will tick the box. Enjoy a delicious award-winning carvery lunch at the Village Kitchen, renowned for its consistent high quality and finest selection of food, beautifully prepared by our experienced chefs. Be sure to leave some time to visit the Heather & Earth Spa, they pride themselves on providing their clients with the best quality product and service. Throughout your stay, you'll enjoy complimentary access to the hotel's Leisure Facilities where you can unwind in the swimming pool, Jacuzzi, Finnish sauna and herbal steam room. Relax and unwind with a visit to the Heather and Earth Spa, which boasts nine impressive treatment rooms, including a couples suite, where you and your partner can be pampered together. Upgrade to a Lovely Family suite for an extra €50.00 payable direct to the Hotel, Family suite's hold 2 Adults and 2 Children Max - The supplement is for B&B and does not include the children’s dinners. Once a voucher has been redeemed this will be a non-refundable booking.